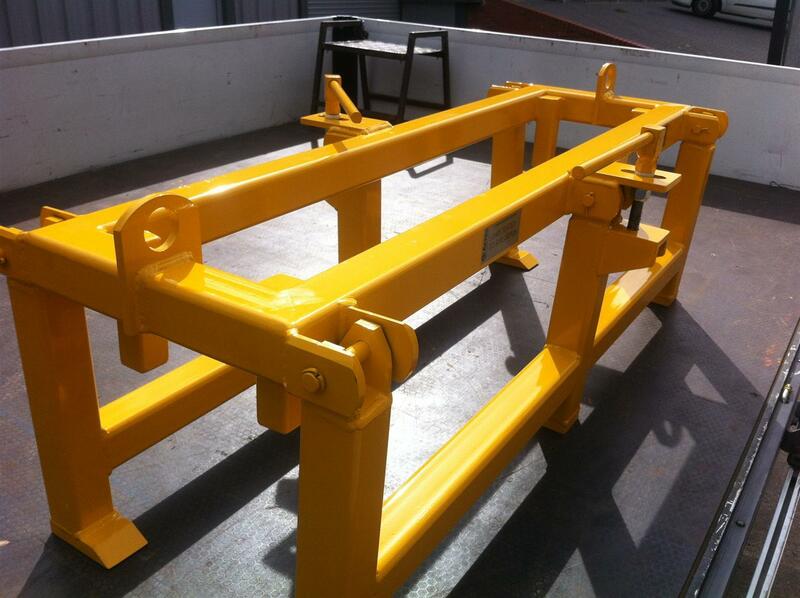 The Coil Lifting Frame will have 2 off adjustable clamp sections fixed together with a central lifting spar with fittings for lifting chains. Each clamp section will have tapered lifting feet which will fit under the coil and can be moved in and out by winding a hand wheel connected to a trapezoidal tread. As the tapered feet are wound out the coil will ride down the feet to lower into position onto the Pole Brick Assembly. Approximate overall size 1200mm (L) x 450mm (H) x 400 – 600mm (W). Load Tested to 300KG SWL.